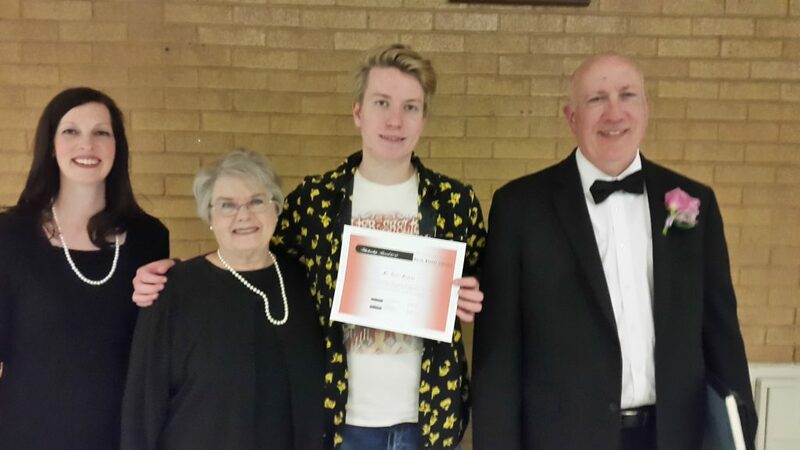 For the past decade the Davis Master Chorale has awarded a scholarship to a Davis County School District High School senior who has excelled in both music and academics. 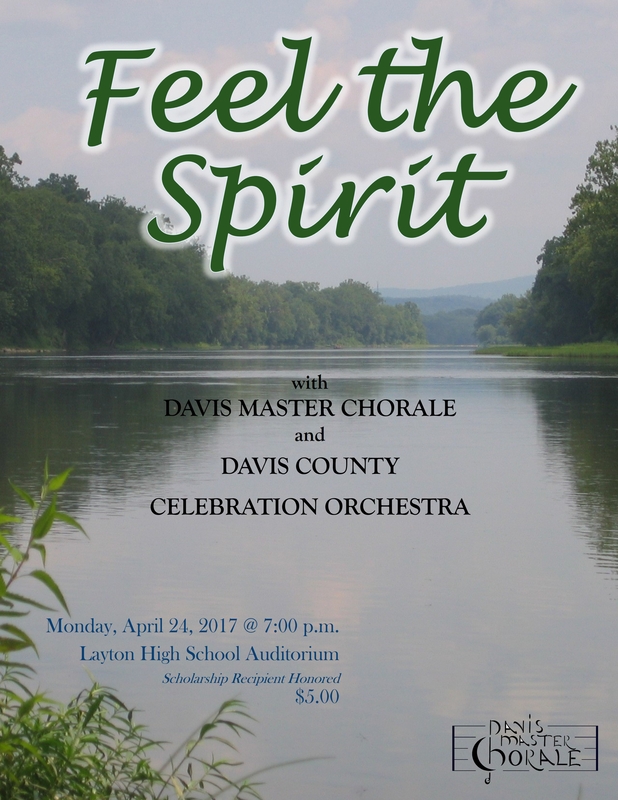 The funds for the scholarship are generated by donations from Chorale members. The Chorale is pleased to announce that this year’s scholarship has been awarded to Northridge High School senior Cuin Murphy. Cuin has been an active musician beginning at North Layton Junior High School where he participated in concert band and jazz band. As he moved on to High School his horizons expanded to jazz band, concert band, woodwind ensemble, pit ensemble for several musical productions, and field show marching band. During the past year he has served as a teacher assistant for orchestra and percussion, assistant director of the Knight Beat jazz band, marching band woodwind captain, and assistant music director for the school’s production of Xanadu. Cuin was awarded 1st place in Utah State Solo and Ensemble Competition in 2016 &2017, 1st place as Disneyland Outstanding Jazz Soloist in 2016. This summer will see him participating with the Utah Ambassadors of Music European Tour Group. Cuin is proficient in eight musical instruments: Clarinet, Bass Clarinet, Alto Saxophone, Tenor Saxophone, Drums, Ukulele, Trombone, and Bassoon. After graduation from Northridge High School, Cuin plans to attend Weber State University to obtain a Bachelor of Music Education degree. The Chorale is pleased to be able to assist such talented young people in furthering their musical education. By example, one of the soloists in our April 24 concert, Charity Cooper, was a previous scholarship recipient who is attending Snow College in Ephraim, UT to further her music education. Among other numbers, they will be performing John Rutter’s fabulous collection of spirituals, “Feel the Spirit”, with the choir, orchestra, AND audience joining together for Rutter’s energetic rendition of, “When the Saints Go Marching In”. Suggested donation of $5 per person.